SBT is an acronym for Stud Book Tradition. In savannah cat breeding, an SBT means three generations of savannah to savannah breeding, making an SBT, the only purebred savannah. 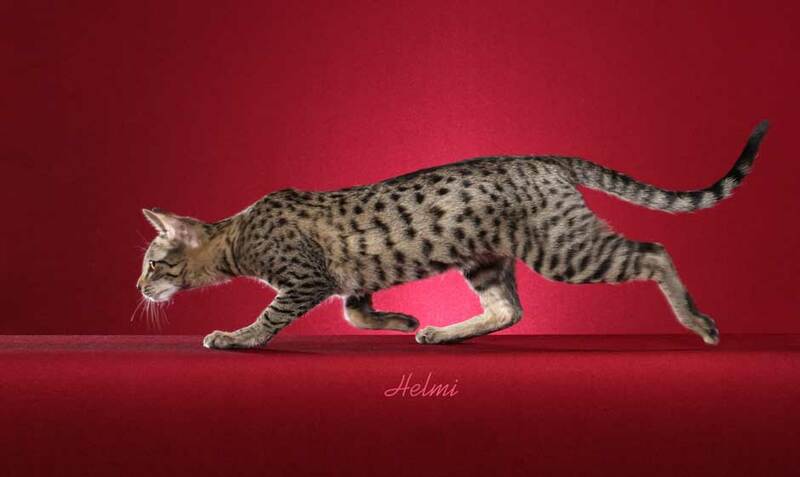 An F4 SBT is the first generation of purebred savannah cats! SBT savannah cats and kittens have a greater serval percentage than say, an F4C because of the savannah to savannah breeding wth no outcrosses for at least three generations. But where did this term come from? A breed registry, also known as a stud book or register, such as TICA (The International Cat Association), has an official list, or record of cats within a specific breed of cat, whose parents are known. So when I register my savannah kittens with TICA, their parents are named, grandparents, great-grandparents, great-great grandparents, etc. This results in a pedigree!